You might think that hotel rankings are done and don’t merit much attention. But with promotional efforts and partnerships with websites, how do you know if the list you’re reading is truly telling you the best hotels out there? 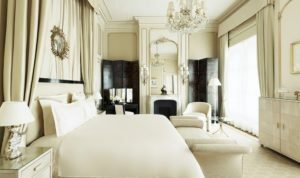 Jetsetter.com compiled their list of The World’s Best Hotels by surveying their global correspondents in a myriad of categories including the expected (family friendly, all inclusive) to the unexpected (best looking guests, safari lodge). Clara joins the show to share highlights from the survey, insights, and more.